WASHINGTON (WUSA 9) - The D.C. area is not particularly known for earthquakes. 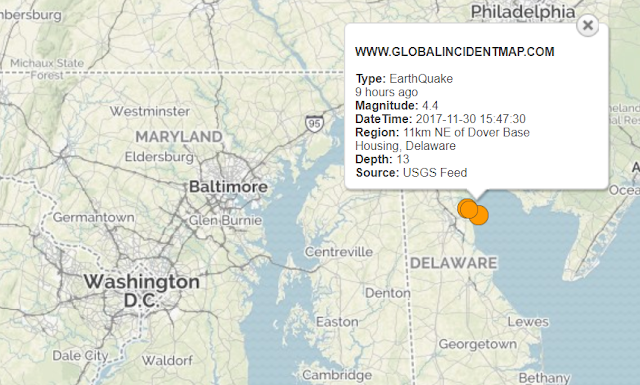 The area sits near no major fault lines. And both Virginia and Maryland rank in the bottom half of states with the most 3.5+ magnitude earthquakes, according to the U.S. Geological Survey. Now, a new study may have found the underlying cause behind the 2011 5.8 magnitude earthquake epicentered in Mineral, Virginia that shook the district and put cracks in several D.C. landmarks. According to a paper published in the Journal of Geophysical Research: Solid Earth, the mantle (the area between the earth's crust and outer core) under the region is periodically breaking off and sinking down into the earth. 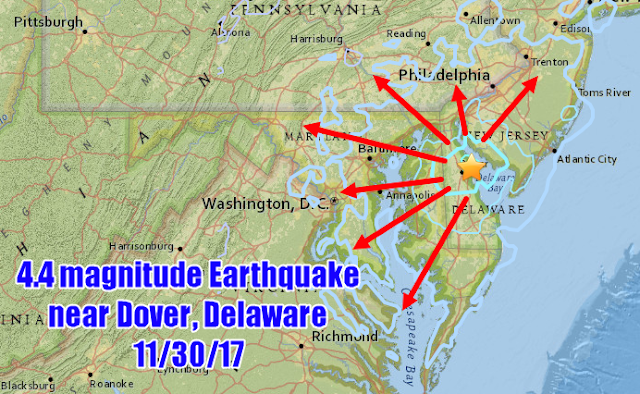 Because of this, the plate left under the D.C., Maryland, and Virginia regions is weakened, making it more likely to slip and cause another earthquake. The paper does not attempt to predict when the next earthquake might hit the area. Most of North America east of the Rocky Mountains has infrequent earthquakes. 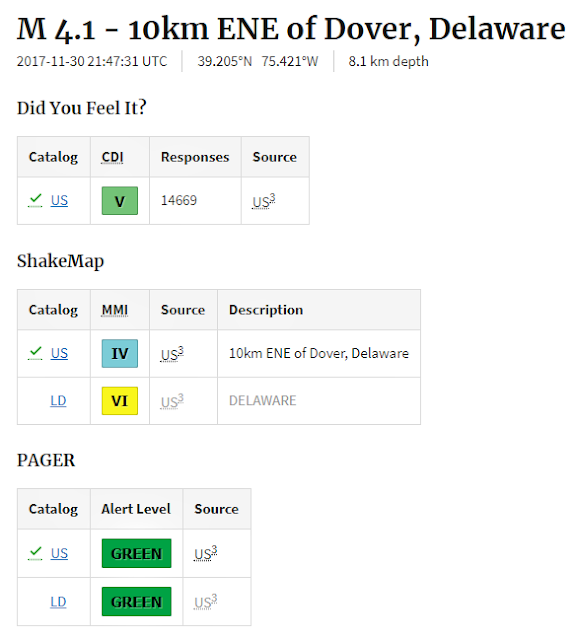 Here and their earthquakes are more numerous, for example in the New Madrid seismic zone centered on southeastern Missouri, in the Charlevoix-Kamouraska seismic zone of eastern Quebec, in New England, in the New York - Philadelphia - Wilmington urban corridor, and elsewhere. However, most of the enormous region from the Rockies to the Atlantic can go years without an earthquake large enough to be felt, and several U.S. states have never reported a damaging earthquake. Most earthquakes in North America east of the Rockies occur as faulting within bedrock, usually miles deep. Few earthquakes east of the Rockies, however, have been definitely linked to mapped geologic faults, in contrast to the situation at plate boundaries such as California's San Andreas fault system, where scientists can commonly use geologic evidence to identify a fault that has produced a large earthquake and that is likely to produce large future earthquakes. Scientists who study eastern and central North America earthquakes often work from the hypothesis that modern earthquakes occur as the result of slip on pre-existing faults that were formed in earlier geologic eras and that have been reactivated under the current stress conditions. The bedrock of Eastern North America is, however, laced with faults that were active in earlier geologic eras, and few of these faults are known to have been active in the current geologic era. In most areas east of the Rockies, the likelihood of future damaging earthquakes is currently estimated from the frequencies and sizes of instrumentally recorded earthquakes or earthquakes documented in historical records.